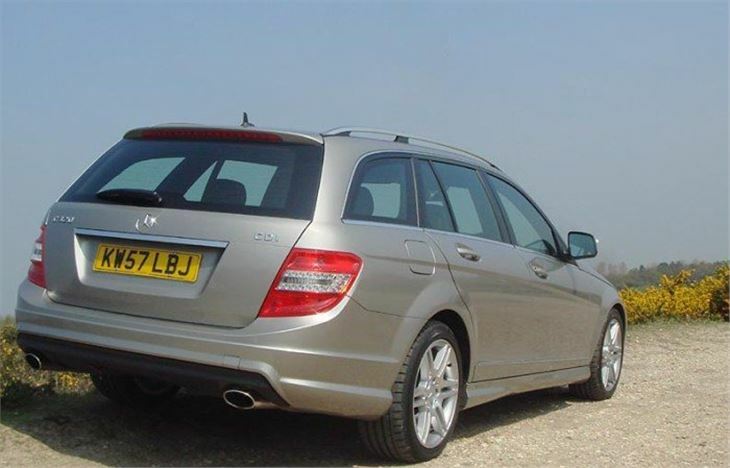 HJ borrows a Mercedes S 204 C320CDI estate for a week and describes how he gwets on with it. I missed the original launch of the W204 C Class and had to get a colleague to write the test for me. Ironically, my first drive of a W204 was on the Honda Accord launch the week before ‘my’ C320CDI arrived. 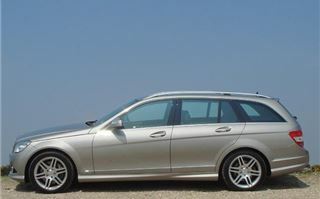 Honda had hired examples of the competition and the Mercedes representative was a base spec C200CDI Classic SE manual. I actually liked that car. It felt hewn from solid, completely honest and that it would do 1,000,000 miles. 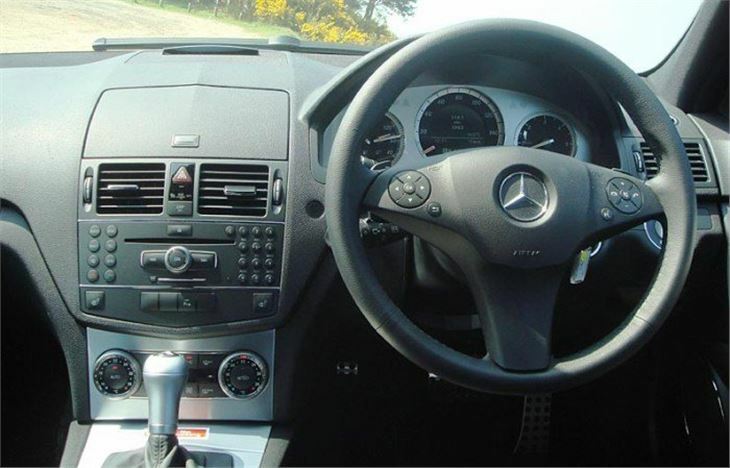 It wasn’t fast, but the gear ratios were well matched to the engine, it handled well and it was comfortable enough for the driver to last 1,000,000 miles as well. The £42,000 C320CDI Sport estate was a different kind of animal. In basic form it costs £35,000, but this one had £7,000 of extras. 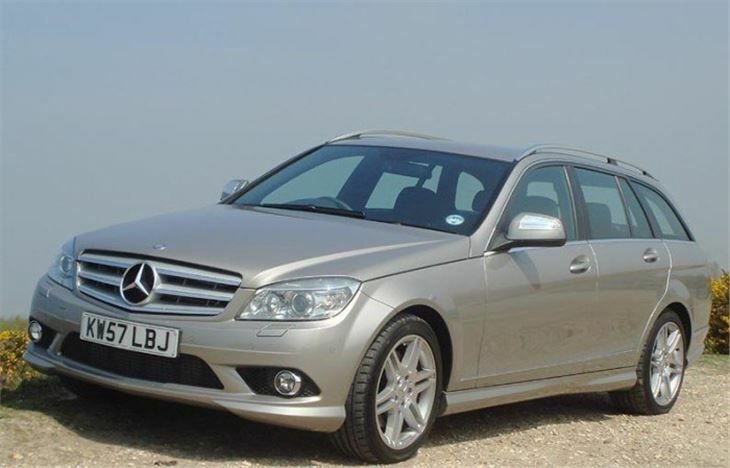 The usual stuff: leather at £1,295, satnav at £1,995, park assist at £605, metallic paint at £620. However it did include (for £610) a very clever towbar that completely tucked away under the rear valence where it could do no harm when not in use. 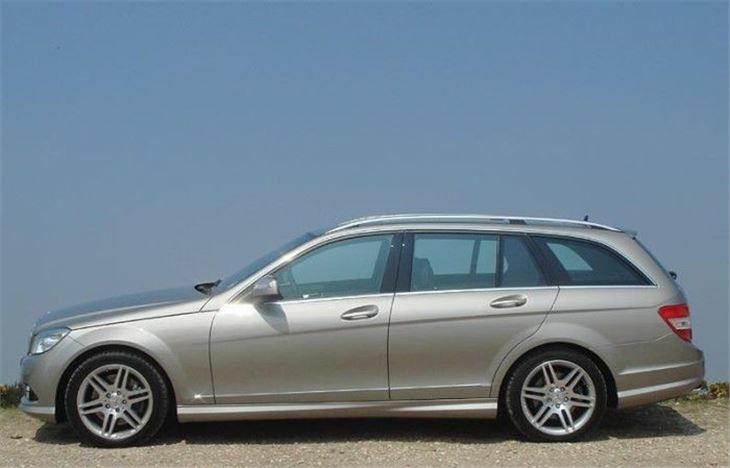 For the £17,500 extra it cost over the C200CDI Classic saloon, this C329CDI Sport estate was a genuine luxury sports estate. Instead of a pedestrian 10.2 seconds to 60, it gets there in 6.8. it gobbles a bit more expensive diesel (33.7mpg in my case) but manages to steer relatively clear of Alistair Darling’s clutches with a CO2 output of 199g/km. That means £210 tax this year and £260 next year. Not too painful. It’s extremely comfortable. The latest Command satnav is intuitive and clear, though you do get Miss Whiplash giving the instructions rather than Honda’s delightful dreamgirl. At town speeds the speed sensitive parameter steering is so light and lacking in feel I did the unforgivable and kerbed an alloy on one of Belgravia’s unforgiving kerbs. Then as soon as you get moving, it’s fine. It’s just that the car is so heavily loaded with technology you don’t so much drive it as conduct it. For a long time Mercedes have fitted the best cruise control and speed limiter of any cars on earth. It’s completely simple. Adjusts your speed in 1mph or 5mph increments, so two movements gets you 10mph. Push it and you can limit your speed through a contraflow to whatever you want just as long as the Polish HGV on your tailgate will let you. 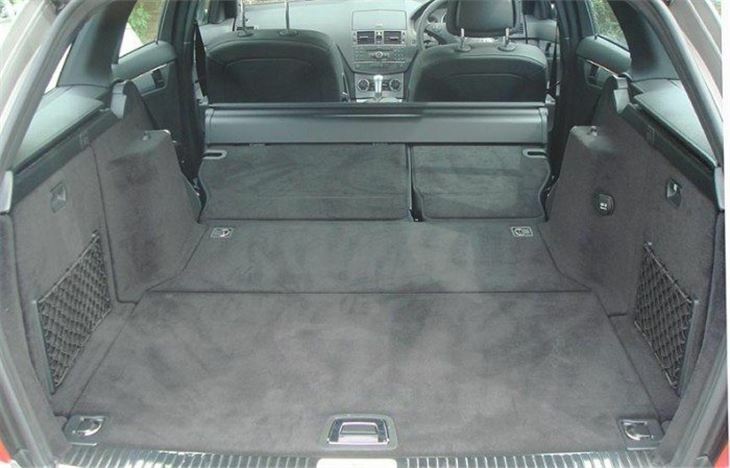 The rear seat folding arrangement is exactly what you need in an estate car. Not quite as good as Mazda’s Karakuri buttons. But flop down the wider of the two backrests and it takes the whole luggage blind and dog guard with it, no fiddling, and leaves a decent size luggage deck 1,632mm long by 1,398mm wide. You still get the old American style parking brake, on autos, at least, and if there was some way of holding the car without it (and without blinding the driver behind) I couldn’t find it. No big deal, though. It’s a proper drum brake and holds well against ‘Drive’, so all you have to do is pull the release when the lights turn green and you can go. 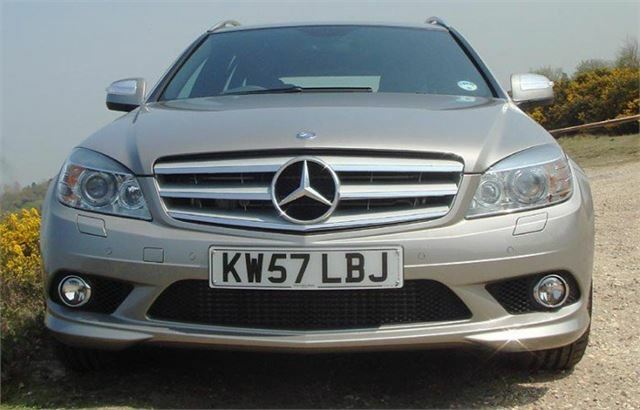 I’m not sure I like the front grille much. As Teutonic as a Tiger tank. But the profile and rear three quarters of the car are good. And the overall look is as solid as the car feels. And that’s what you want from a small Mercedes. You want it to feel like a condensed big one. The previous W203 C Class didn’t do it. But this one does.